Since the launch of My Nintendo in 2016, Nintendo fans have benefitted from a range of rewards, including in-app items, exclusive discounts and more. An update to the service is coming soon, and is set to reward Nintendo Switch players in a new way. 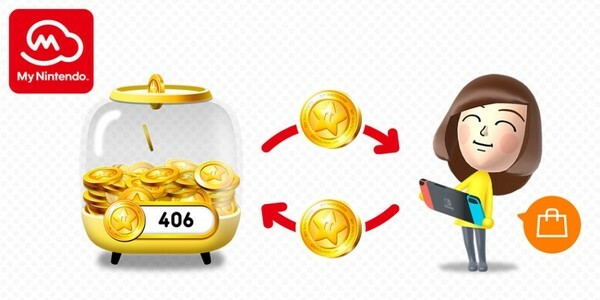 Starting in early March, you’ll be able to spend any Gold Points you’ve accumulated in My Nintendo when purchasing Nintendo Switch software from Nintendo eShop on your device, or even via this website! You can pay for the remaining balance with Nintendo eShop funds, or any other payment method available in Nintendo eShop. Once earned, Gold Points remain valid until the last day of the month in the following calendar year. For example, any Gold Points you earned in March 2017 will remain valid until the end of March 2018. For more details, please visit the My Nintendo website, and keep your eyes peeled for more information in the coming weeks.